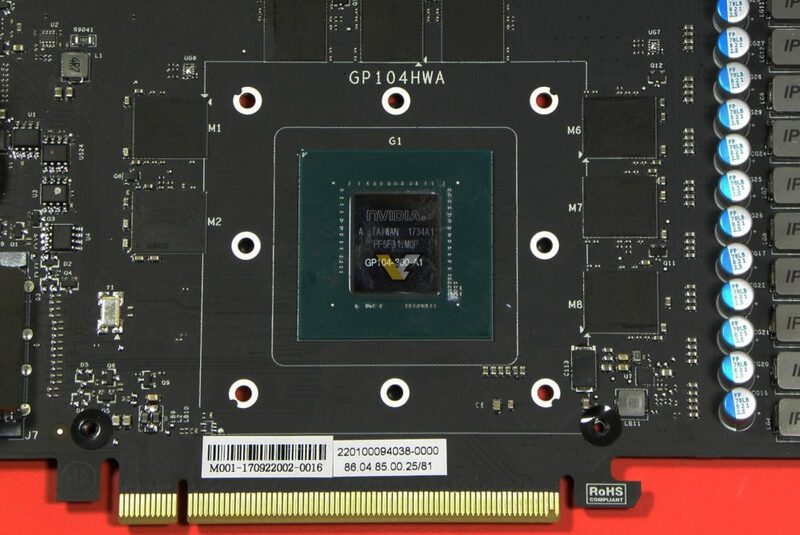 This time around NVIDIA is not making a GTX 1060 Ti model, instead, we are given an option of GTX 1070 Ti, a card that is a hybrid between GTX 1070 and GTX 1080. Basically, graphics processor in GTX 1070 Ti lacks 128 CUDA cores from the full silicon. It also ships with GDDR5 memory instead of GDDR5X. The most important change, however, is how custom cards are affected by new NVIDIA policy: there are no factory-overclocked models. 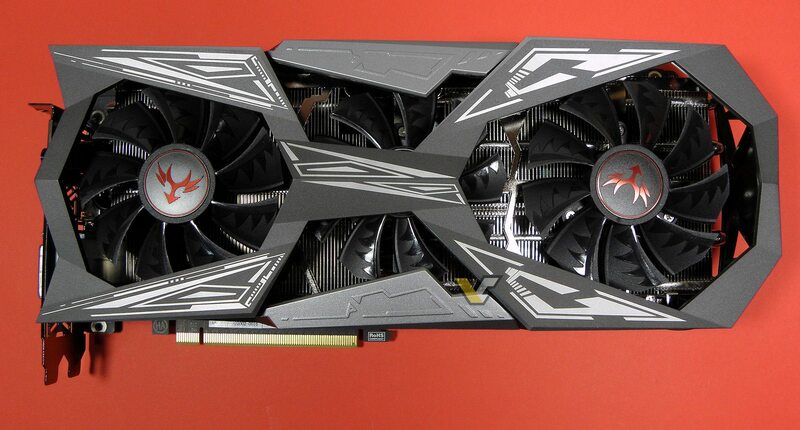 Colorful’s iGame GTX 1070 Ti Vulcan XTOP is a premium card based on a new design introduced few months ago. It’s a 2.5-slot card with a triple-fan cooling solution. The card is huge and heavy and it will rip your skin apart if you won’t handle it with care. Meet iGame Vulcan XTOP. The new variant of GP104 comes with 2432 CUDA cores enabled. This is actually 16th variant of GP104 available (including mobile, professional and consumer products). 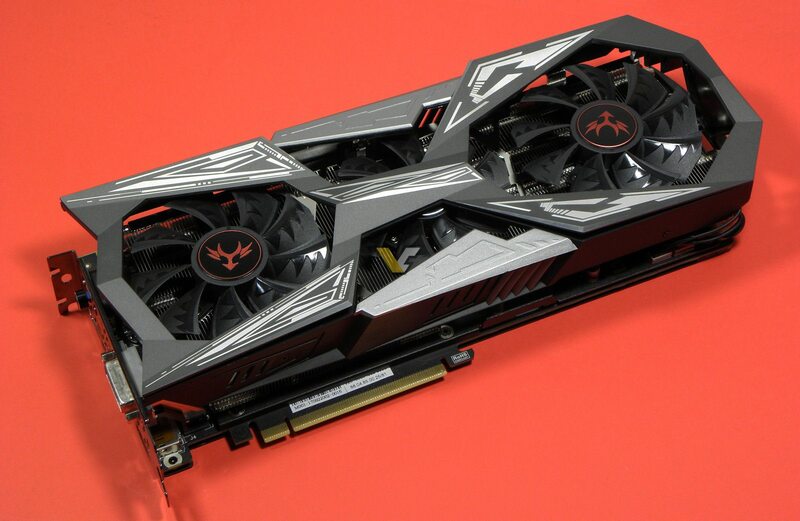 This approach to 3-fan design is not new, some readers may immediately think of AORUS brand, which also offers models with an X-shaped shroud covering the middle fan. 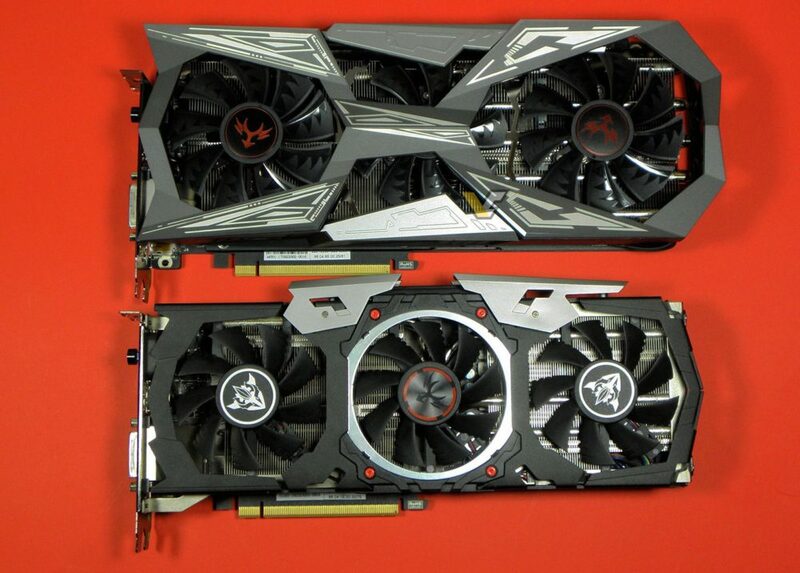 I thought it might be interesting to compare GTX 1070 Ti Vulcan XTOP to GTX 1070 XTOP. The predecessor was narrower, but almost just as long. It also came with three fans, but there was no fancy LED lighting like we have on Vulcan. The most prominent feature of Vulcan is the iGame Status Monitor (LCD). This is where all important data (such as temperature, fan speed, core clock or memory usage) are displayed.